2014 is only two weeks away. Where has the year gone? Around this time of year many homeschool families rethink curriculum choices, homeschool schedules, etc. It probably has something to do with it being a slower month and the half way mark of the homeschool year for many families (unless you are like us and school year round). Is math one of those curriculum areas you are rethinking? Well if it is then you will definitely want to enter the giveaway below for your chance to win a Learn Math Fast Volume 1 book. We reviewed this curriculum back in 2012. Read our Learn Math Fast Review for more information. Learn Math Fast books are so simple to use and make learning math easy! One last thing before you enter the giveaway. 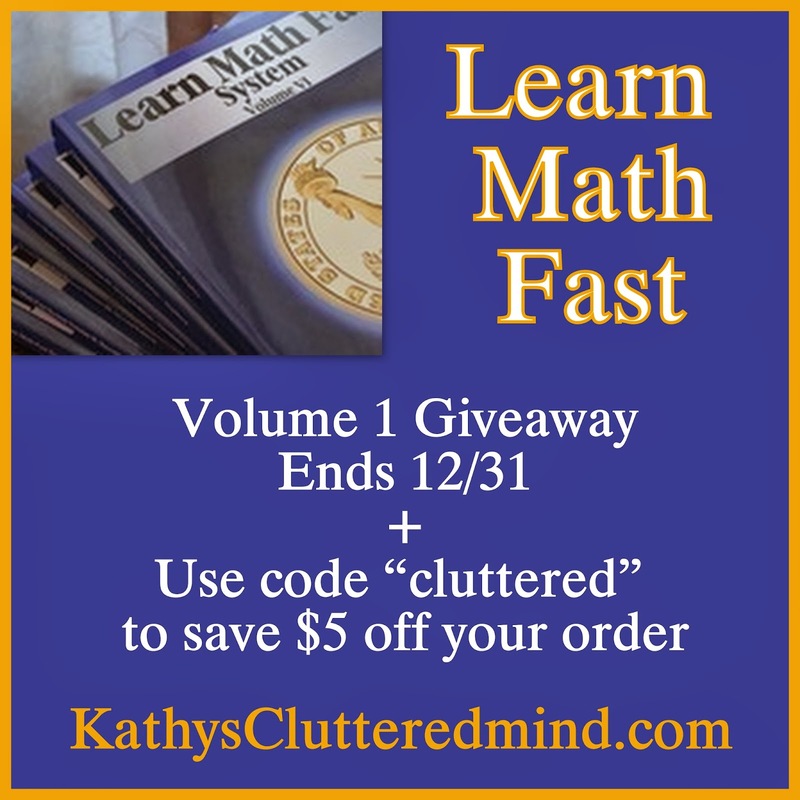 If you don't win the giveaway, don't worry, Learn Math Fast has provided me with a promotional code in which you can receive $5 OFF any order from the Learn Math Fast website. The code is cluttered! Just enter the code during checkout (won't work with PayPal) in one of the "optional fields" located under the "email and phone number" fields. Learn Math Fast has graciously offered to giveaway a copy of Volume 1 to one lucky reader. Only the first entry is mandatory. Other entries are optional and give you extra chances. This giveaway is not affiliated with Facebook in any way. The winner will be posted on the blog and will be emailed. Winner must reply within 48 hrs with their contact information or another winner will be chosen. Prize will be mailed via the company.